Rabbi Jonathan Rietti - a descendant of the Sephardic leader the Ben Ish Chai and son of the famous British actor Robert Rietti, known as ‘The Man of a Thousand Voices' and ‘King of the Dubbers' - received his rabbinical diploma from Gateshead Talmudical College, England, after which he helped establish the now flourishing Kollel in Gibraltar. Having received a master's in education, he practiced for eighteen years as an educational consultant to parents of gifted children and those with ADD. With Montessori training, he has developed a curriculum which dovetails a Torah education with Montessori methodology. 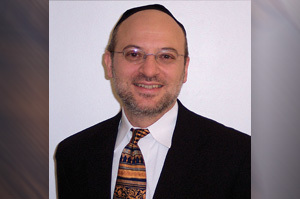 Rabbi Rietti currently directs a teacher training program in Brooklyn, New York, under Mishkan Yecheskel. His model classroom with hundreds of educational materials is used for training teachers how to reach different children in the classroom. It is literally an 'Al Pi Darko' approach. He can be reached at 845-426-0609. With humor and insight, Rabbi Jonathan Rietti explores the meaning of true happiness, in spite of external circumstances and a Jewish approach to suffering. Chew with passion. Savoring the taste of learning requires asking questions and using a child's multiple intelligences. Rabbi Jonathan Rietti gives a comprehensive explanation of how children learn and shows the similarities between Torah learning and the Montesorri method. For more about Rabbi Rietti please visit: Jewishinspiration.com.